There’s still five days left on Paul-Miki Akpablie’s Indiegogo campaign, but he’s not sweating it because the $5,000 funding goal for his company Kadi Energy has already been met. Part of the appeal for Kadi Energy stems from the fact that Akpablie wanted to build a different kind of tech company with an emphasis on social return on investment. 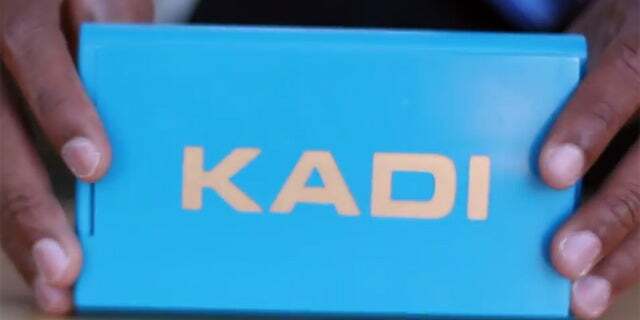 Kadi Energy is billed as an efficient, solar-powered charger for mobile devices in West Africa. Hailing from Ghana himself, Akpablie is intimately aware of energy insecurities in the market, and he wants to help solve this pain point. As the Indiegogo campaign winds down, Akpablie is prepping to launch the second stage of a proof of concept to evaluate Kadi’s first product line: a portable power bank with solar charging capability. It’s built off of original battery technology, but Kadi Energy wants to power the lives of West Africans more efficiently. With multiple charging ports, long-lasting power storage, and solar-charging capabilities, the Ray 20 can charge up to 14 smartphones after one day in full sunlight. What’s more, Kadi focuses on job creation, tapping into Ghana’s base of underemployed, educated young professionals for sales and distribution. For over 40 percent of Ghana’s population, plugging in a smartphone before bed isn’t even close to a reality; it’s something we all take for granted. And Kadi’s price-point will yield a ROI for African families within the first three months of use. “Kadi has the potential to impact every Ghanaian’s personal and financial life,” says Samantha Barlow, VP of Kadi Energy. In short, energy access is a portal to prosperity, and Akpablie wants to open the portal for as many West Africans as he can. The funding coming from the Indiegogo campaign will go directly to securing resources to ensure rapid growth for Kadi.